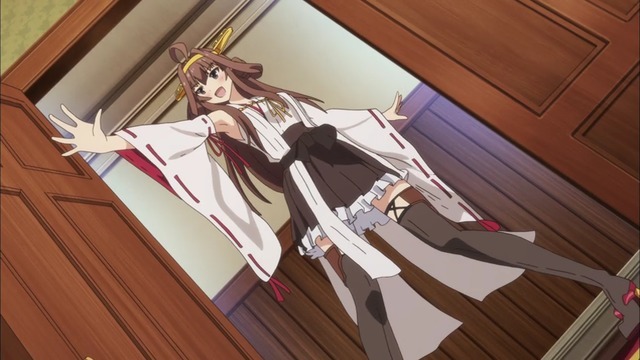 Kongou sure knows how to make an entrance. Everything I know about Kantai Collection (also known as Kancolle) comes from secondary sources. Specifically, I have absolutely zero first-hand knowledge of the popular game. Of what I do know, I gleaned probably eight percent from anime heads on The Twitter, various bloggers, and IRC drones. The remaining 92% I learned from hydrodynamic fan art. 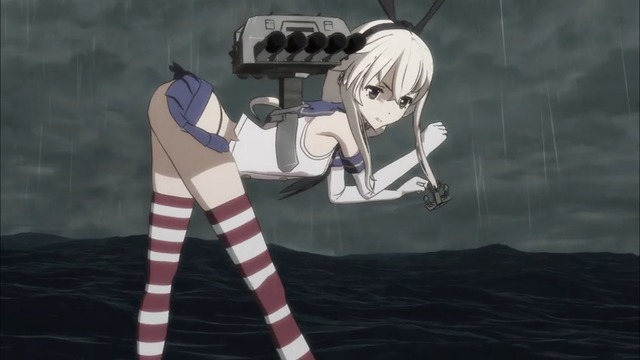 Some of these illustrations, no doubt, potentially promote misleading characteristics of various Kantai Collection boats, if not the franchise as a whole. that she mistook a shampoo hat for a skirt. 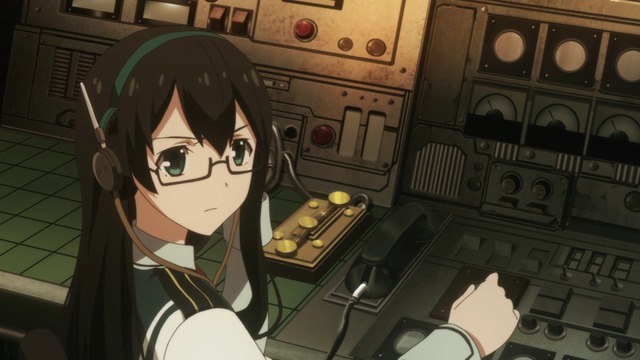 Through the first four episodes, it's apparent some knowledge and enthusiasm for the game is necessary in order to fully appreciate the Kantai Collection anime. The show is wall-to-wall cameos clearly intended to stoke ardent fans of underappreciated boat girls. The characters also occasionally holler non sequiturs that are obviously catchphrases from the game's voiced components. Some of the game mechanics also found their way into the show despite not making a whole lot of sense from a narrative standpoint. Still, the project seems well done and there's a palpable sense of affection that comes across so that I at least feel as if people in the shipyard care about the fleet.